There is a rather infamous encounter around the tabletop in JADE's Ivershill Campaign featuring a Violet Fungus. 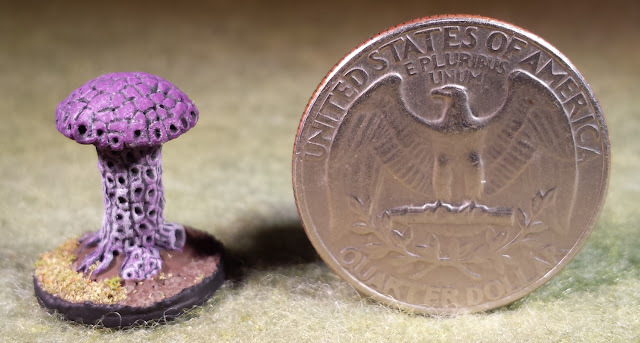 No one has managed to over come them, and several have set off the shrieker fungus nearby: summoning the powerful swamp monster. So as ridiculous as it may seem, these two mushroom are just a little too much for my level 1-3 players to handle, but it always makes for a hilarious situation. 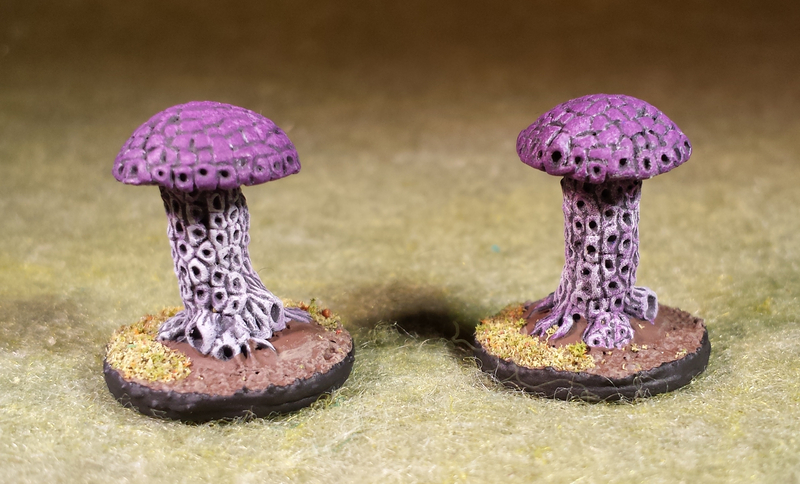 When I saw that Splintered Light Miniatures had two such fungi I jumped at the opportunity. 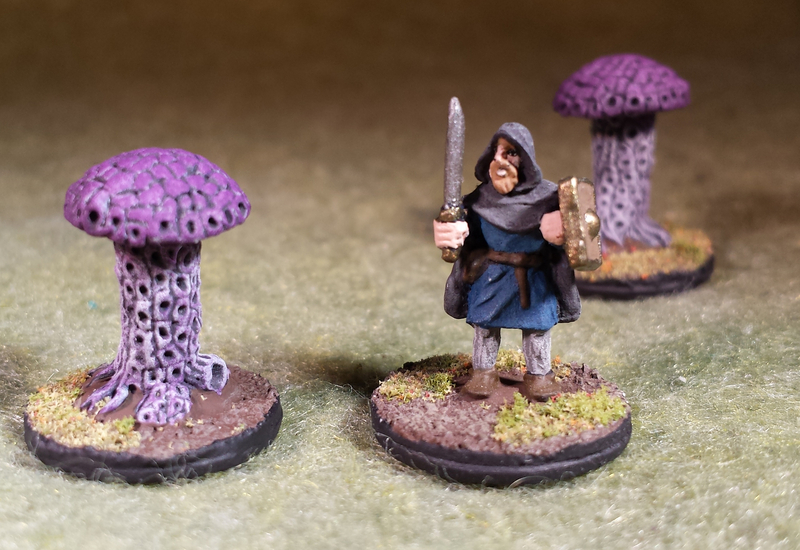 I just got them painted, and I am not sure where they will turn up first, but my guess it will be in either Hymns of a Vagabond during the spelunk or in Arachnophobia as a chance encounter along the road.